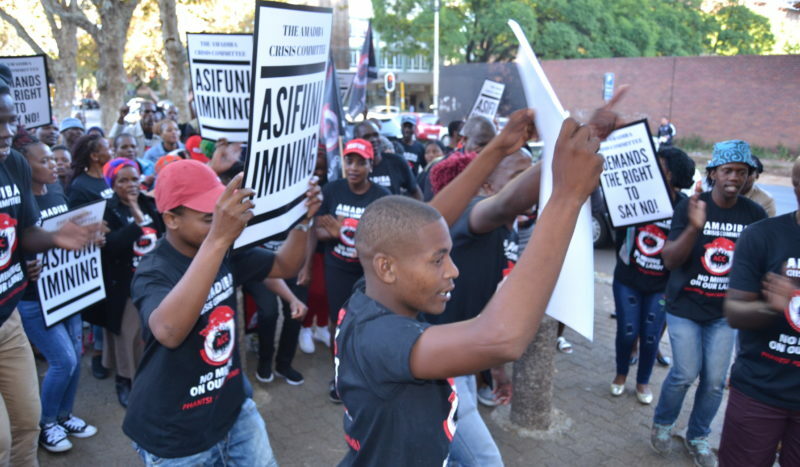 On the 23rd to the 24th of April, a historic court case for mining-affected communities took place at the North Gauteng High Court in Tshwane. 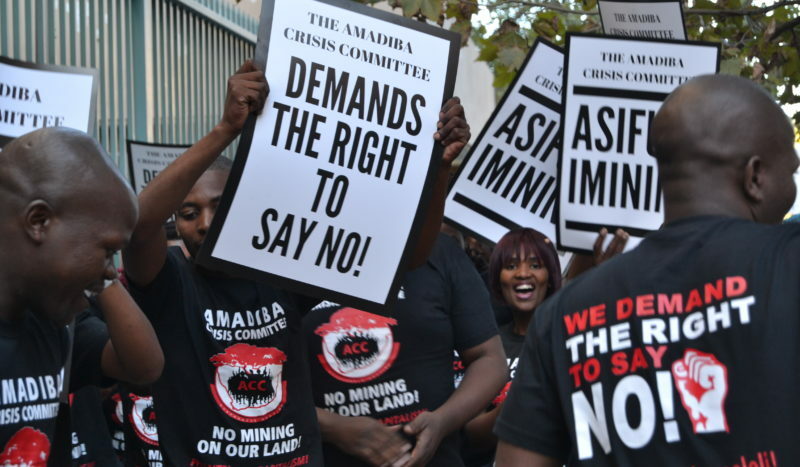 The Amadiba Crisis Committee, represented by their lawyers Richard Spoors Inc. and the Legal Resources Centre, took the Department of Mineral Resources to court in an attempt to get a declaratory order that would prevent proposed titanium mining by Transworld Energy and Minerals (TEM), the South African subsidiary of the Australian mining conglomerate Mineral Commodities Ltd (MRC), from taking place on their land in Xolobeni on the Wild Coast of South Africa. 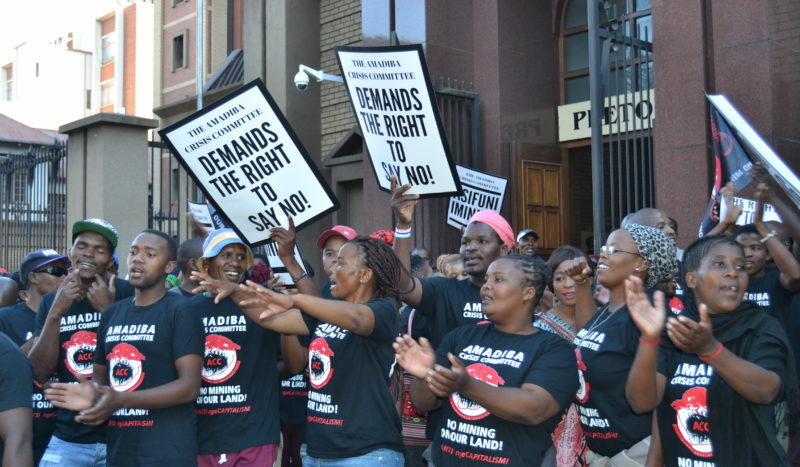 On Monday 23rd, just less than 100 members of the Amadiba Crisis Committee were present at the court, some being inside and listening to the court proceedings whilst others protested outside. After requesting a larger courtroom, those that were protesting outside were able to enter the court and listen to the proceedings that will have a significant effect on their lives over the coming years. 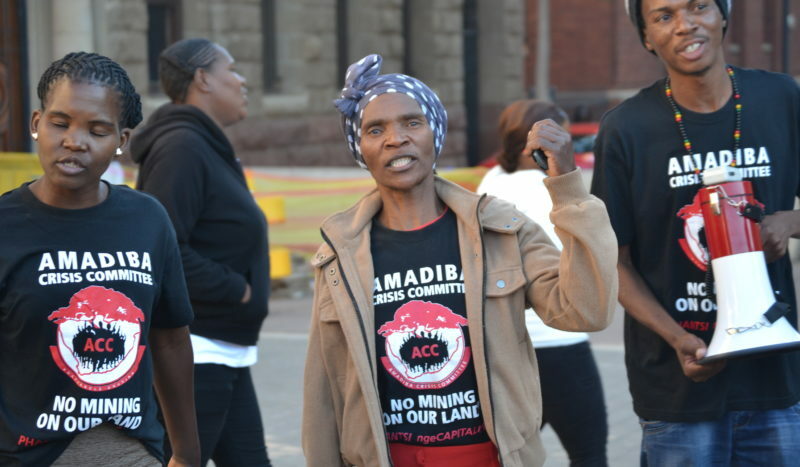 On Tuesday 24th, the Amadiba Crisis Committee was joined by approximately 1000 supporters, mainly from other mining-affected communities across South Africa. 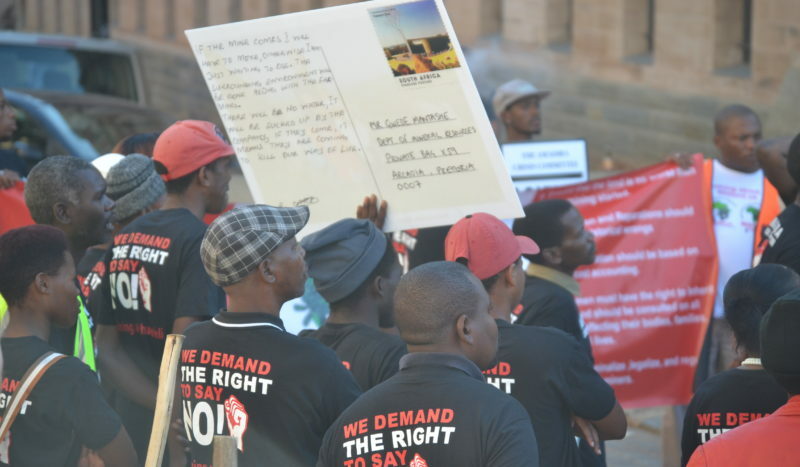 They marched together outside the Pretoria High Court, singing songs in support of the Xolobeni struggle. Joseph Mathunjwa, the President of the Association of Metal and Construction Workers’ Union (AMCU), attended the event and spoke to the masses in support of the Amadiba Crisis Committee as well as all the other communities that were present whose livelihoods have already been severely impacted by mining activities. 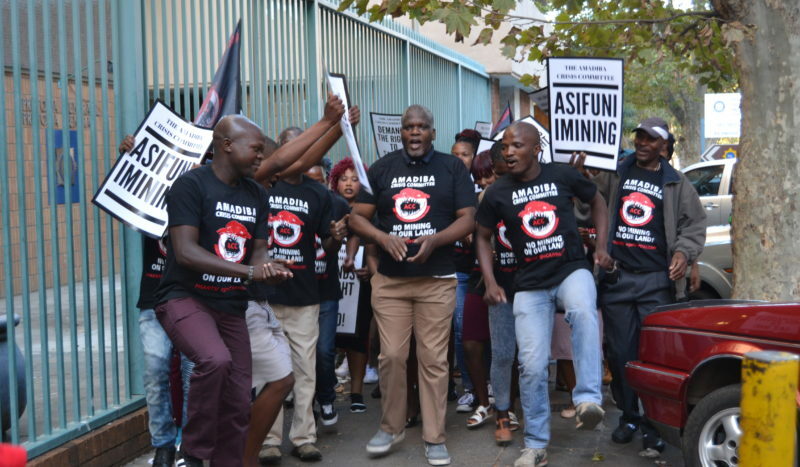 The mass solidarity support by mining-affected communities during the day of action and on social media speaks to how the Amadida struggle against mining is not only limited to the Wild Coast of South Africa. 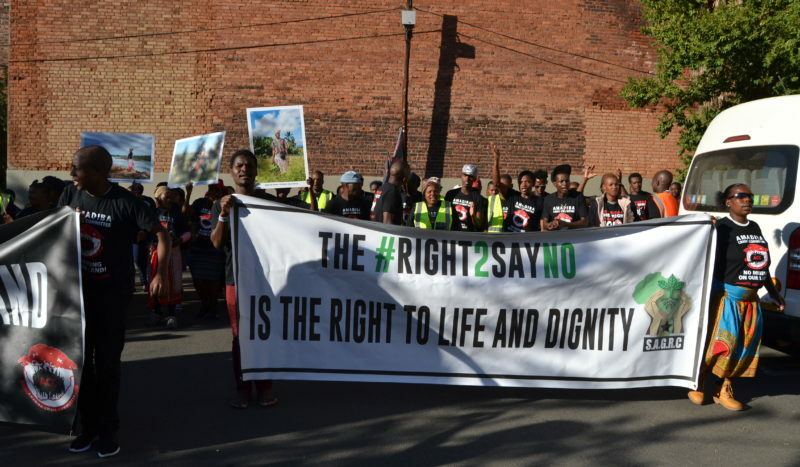 Communities struggling against the destruction that mining causes go beyond the African continent and includes communities in Latin America, therefore reinforcing the demand for the Right to Say No as global demand by all communities who seek alternatives to pernicious models of development. 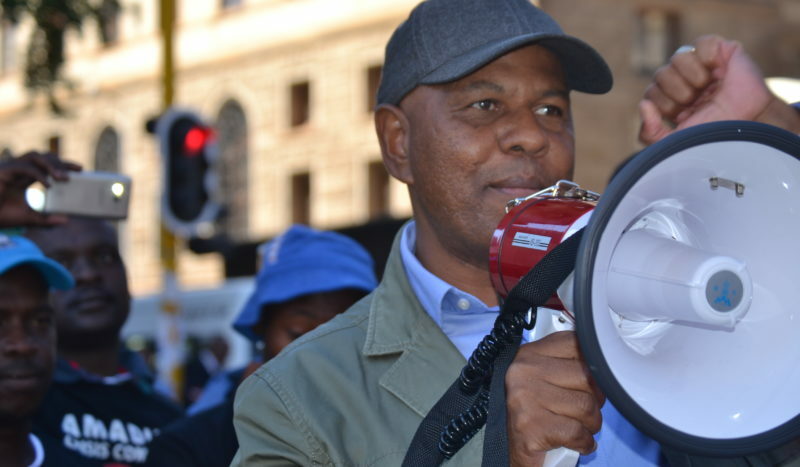 Joseph Mathunjwa, the President of the Association of Metal and Construction Workers’ Union (AMCU), one of the biggest mining trade unions in South Africa came and spoke in solidarity with the ACC as well as all the other mining affected communities. 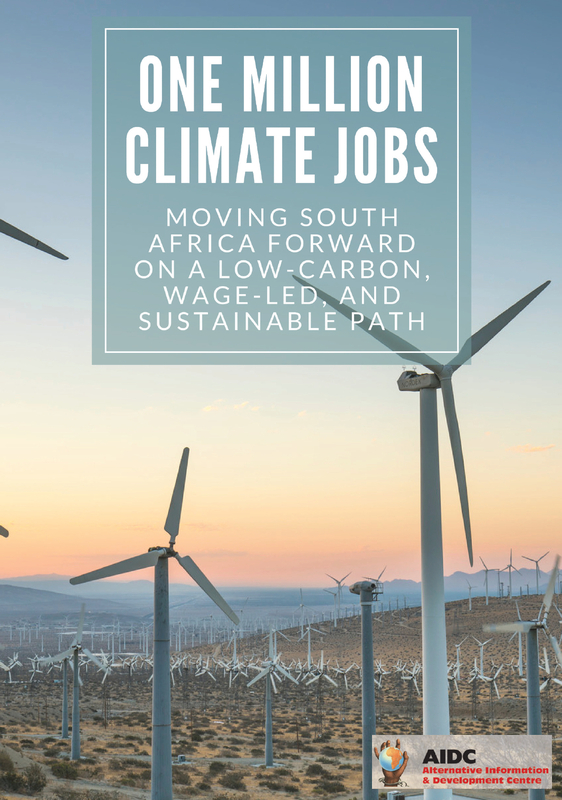 Social and environmental impact assessments prior to mining must be undertaken by consultants employed by the state and selected by communities. 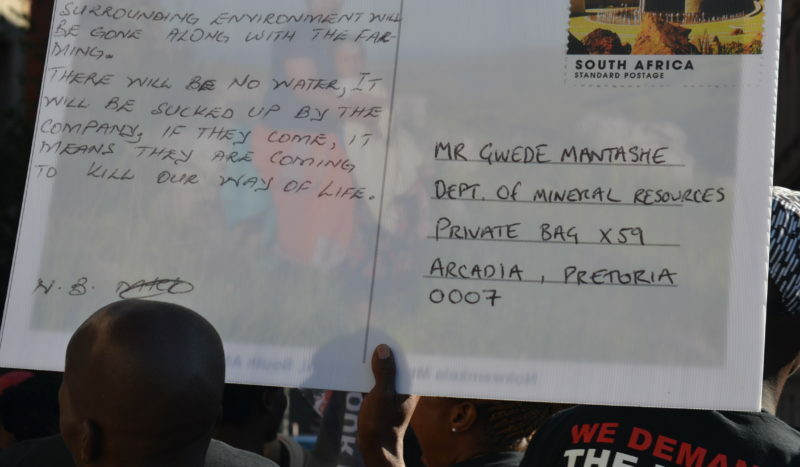 In line with the DMR’s disdainful tactics towards mining-affected communities, they initially sent out a security staff member to receive the memorandum. 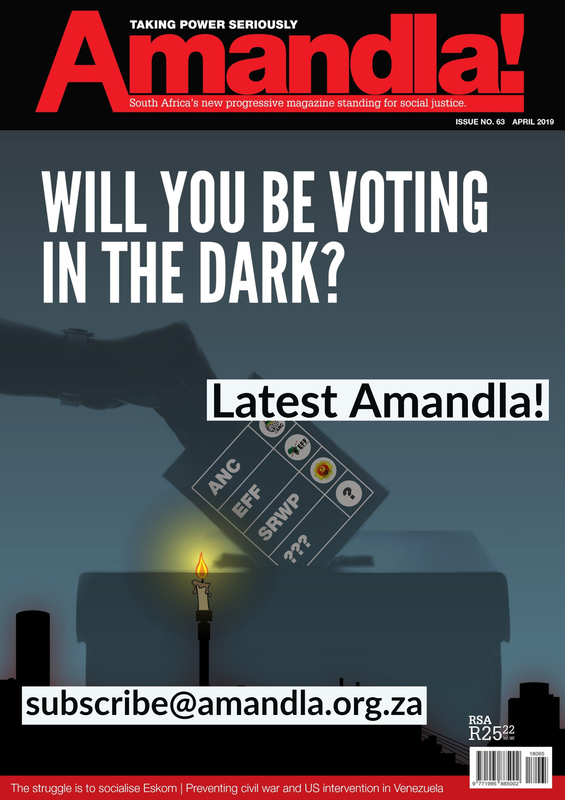 The Amadiba Crisis Committee rejected this and sent the security staff member back whilst singing “Asifuni isecuriti” and demanding Gwede Mantashe to come out. 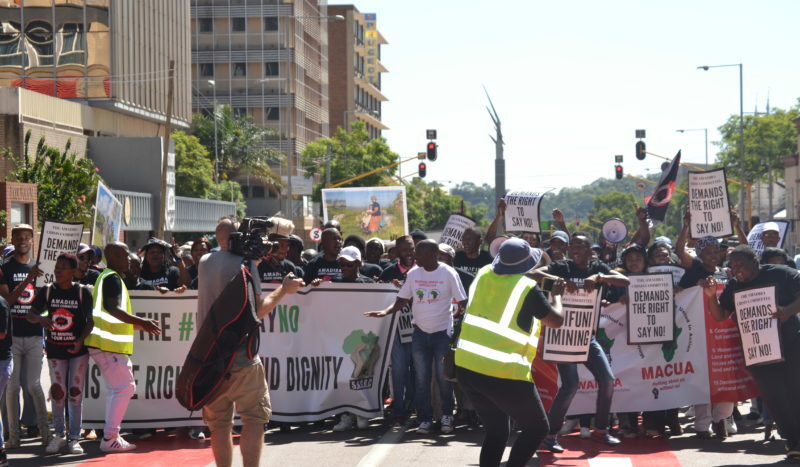 Three senior officials were then sent out, to inform the ACC that the Minister was in Cape Town and to formally receive the Memorandum of Demands. 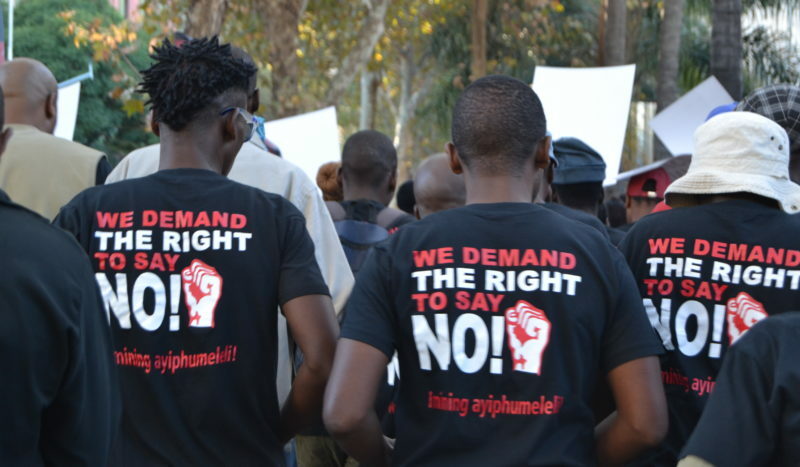 Together with the memorandum the ACC also handed over an online petition in support of the Xolobeni community’s demand for the #Right2SayNo, which was at the time signed by 3,924 people and is currently signed by 4,468 as well as the ‘Postcards from Xolobeni’ addressed to Minister Mantashe and with personal messages from Xolobeni villagers explaining what they cherish and their rejection of the proposed mining.